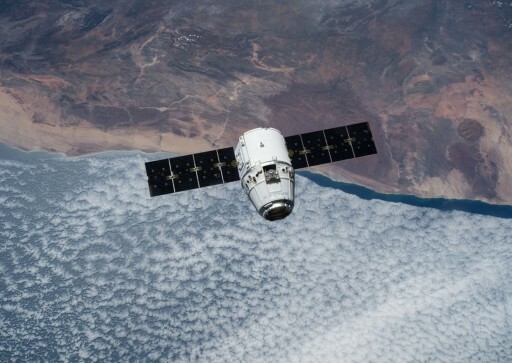 Dragon is a commercial Orbital Vehicle operated by Space Exploration Technologies (SpaceX). It can be flown in two configurations: Dragon Cargo and Dragon 2 for unmanned and crewed flights. Dragon is launched aboard the Falcon 9 Rocket that is also operated by SpaceX. 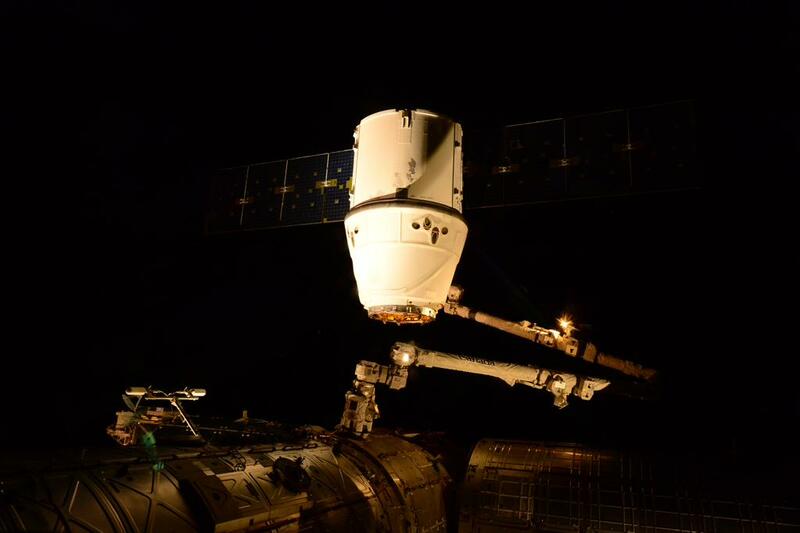 Dragon is part of NASA’s Commercial Resupply Services Program and will make at least 12 Cargo Resupply Flights to the International Space Station. The Vehicle can fly a variety mission profiles and is envisioned to be a re-usable spacecraft. Equipped with a heat shield and parachutes to make a splashdown landing in the Ocean after completing its mission in orbit, Dragon is currently the only ISS cargo craft that has the ability of returning items including science samples to the ground. To maneuver in orbit and during re-entry, Dragon is equipped with 12 to 18 Draco Thrusters. This small rocket engine was designed, developed and tested by SpaceX. Each Draco engine provides 400 Newtons of thrust. The engines are used for on-orbit maneuvers, attitude control and the long deorbit burn providing an extremely variable burn time. Draco uses Nitrogen Tetroxide as Oxidizer and Monomethyl-hydrazine as fuel. 1,290 Kilograms of propellants are on-board of the Spacecraft that is consumed by the engines over the course of the mission. Dragon’s Reaction Control System provides dual-redundancy in all axes. Any two Draco engines can fail without mission impact. 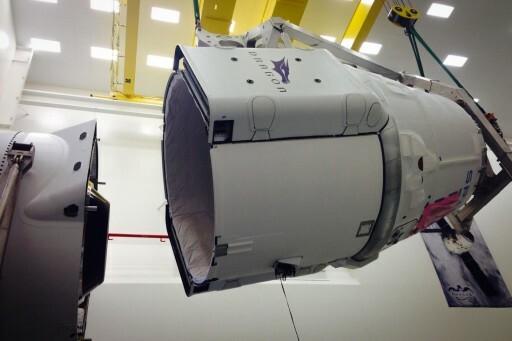 SpaceX worked in close operation to develop the heat shield of the Dragon Capsule that has to withstand up to 1,600°C during re-entry. PICA-X is derived from NASA’s phenolic impregnated carbon ablator heat shield, also called PICA. This heat shield has a substantial flight heritage. The PICA-X version is expected to be re-usable many times without showing a high degree of degradation. This design also provides high flexibility in the nature of a mission as it can also support re-entries at velocities exceeding typical speeds of Low Earth Orbit Missions. No modifications would be required for a Moon or Mars Flight. The heat shield was designed in less than four years. 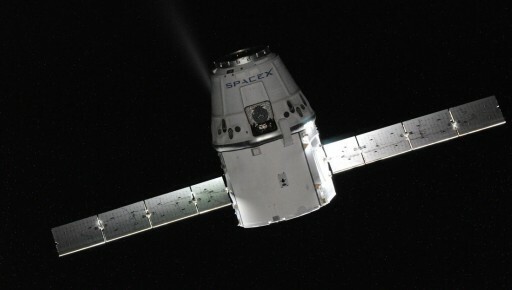 It completed its successful flight verification on the Dragon C1 Mission in December 2010. 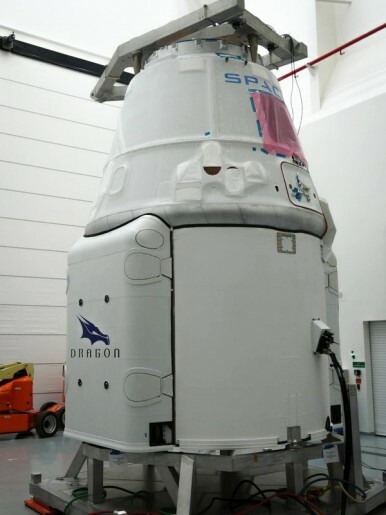 To regulate Temperatures inside the Capsule while flying through the Space Environment, Dragon is outfitted with two fully redundant pumped fluid cooling loops. Radiators are mounted to the Trunk’s structure. Dragon supports communications via satellites such as NASA’s Tracking and Data Relay Satellite System, but is also capable of communicating via Ground Stations on Earth. Data Rates are 300kbps for Command Uplink and 300Mbps or more for telemetry and data downlink. Payloads on the Vehicle can be integrated via standard communication interfaces like Ethernet or RS-422 and 1553 standards. Vehicle Communications are accomplished via redundant telemetry and video transmitters in S-Band. Dragon is equipped with on-board compression and encryption/decryption systems. 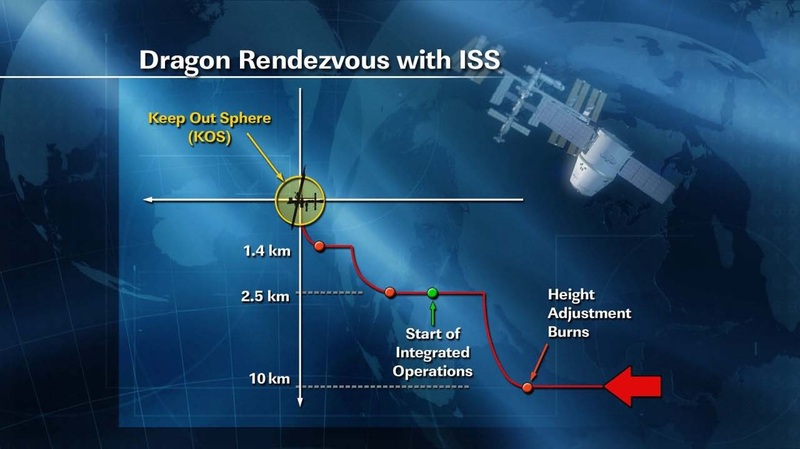 The habitable, pressurized Volume of the Dragon Capsule is 10m³. In its regular configurations, 14m³of trunk volume are available for external payloads. This ‘trunk’ utilizes the volume beneath the capsule that is otherwise unused except for the Payload Adapter. A trunk extension can boost the volume up to 34m³. 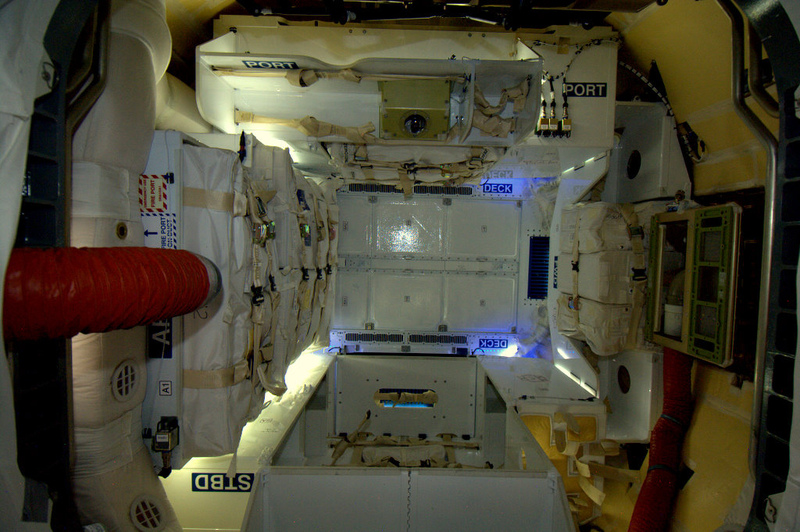 In the Trunk, electrical and fluid connections are available to accommodate a variety of Payloads including small satellites that can be released in orbit. Power is generated by two Solar Arrays that are deployed after orbital insertion and jettisoned before re-entry. The arrays provide 1,500 to 2,000 Watts of power peaking up to 4,000 Watts. Two Power Buses are part of Dragon’s electrical system, providing 120 VDV and 28 VDC respectively. 4 redundant Lithium-Polymer Batteries provide power during orbital night, ascent and re-entry. Dragon’s Flight Computers provide all aspects of vehicle control and navigation. The Flight Control System is comprised of two Flight Computers providing full redundancy of the system. All aspects of the Cabin Environment can be controlled on Dragon. Air Circulation is provided by several fans and sensors provide atmosphere measurements. Internal Temperature and be adjusted between 10 and 46 degrees celsius. Internal Humidity and also be regulated within a range of 25-75% Relative Humidity. The Capsule is pressurized up to 14.9psi and the pressure can be actively controlled as well. For navigational purposes, Dragon is outfitted with Inertial Measurement Units, GPS Systems, Iridium Recovery Beacons and Star Trackers. Attitude Control and Navigation in orbit is accomplished with the IMU and Star Trackers. Attitude Determination has an accuracy of 0.004 Degrees or smaller. Attitude Control is 0.012 degrees on each axis in Stationkeeping Mode. Dragon provides a fully autonomous Rendezvous and Docking System. For manned missions, a manual docking is also possible by using the override function to control the vehicle by hand. 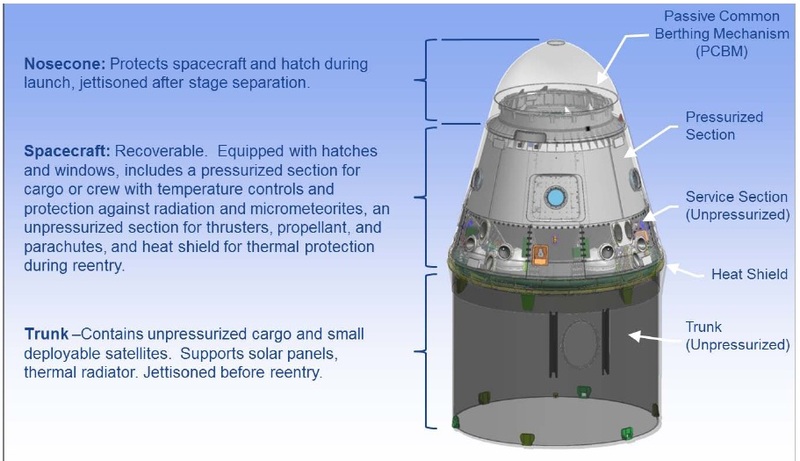 In addition to the external Payload Volume, Dragon has a small Sensor Bay that is located on the Sidewall of the Spacecraft. It has a volume of 0.1m³ and is outfitted with a hatch mechanism that opens the hatch of the bay and deploys sensors or other payloads once in orbit. Experiment Payloads can be exposed to the Space Environment and are protected during the Re-Entry Process by closing the hatch before re-entering the atmosphere. 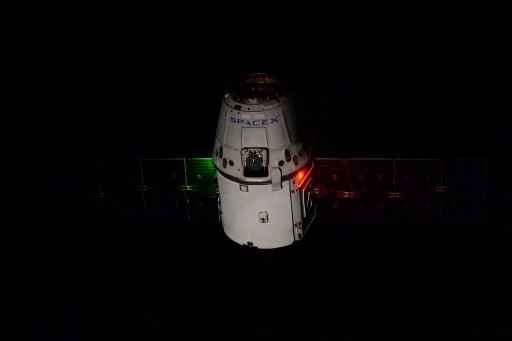 Dragon can be equipped with different docking adapters such as Integral Common Berthing Mechanism with the low-impact docking system (LIDS) or androgynous peripheral attach system (APAS). 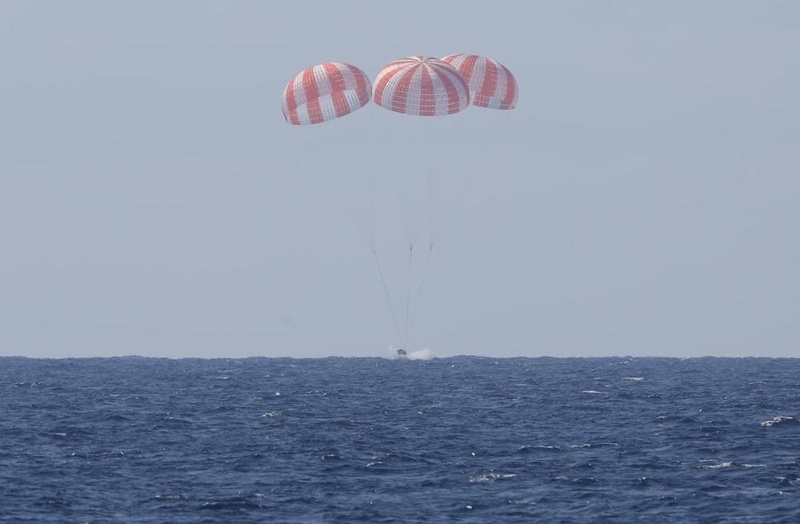 Dragon is capable of performing a lifting re-entry to precisely target its landing area in the ocean. During re-entry, Dragon experiences a low G-Load protecting experiments and the crew onboard. 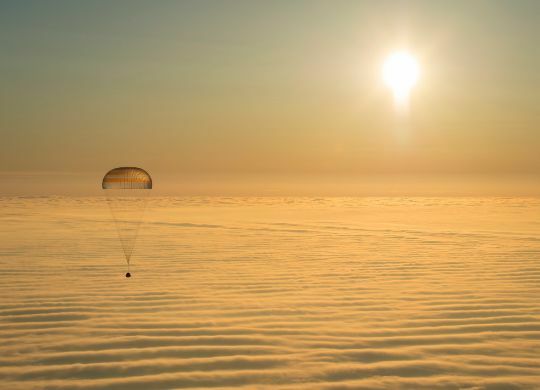 Dual drogue parachutes slow and stabilize the craft before three main parachutes bring it to a gentle landing. The Parachute System is also fully redundant. After Splashdown, GPS and Iridium Locator Beacons can be used to locate the vehicle should in case of and off-target landing. Recovery is done via ship and the capsule enters its refurbishment processing.